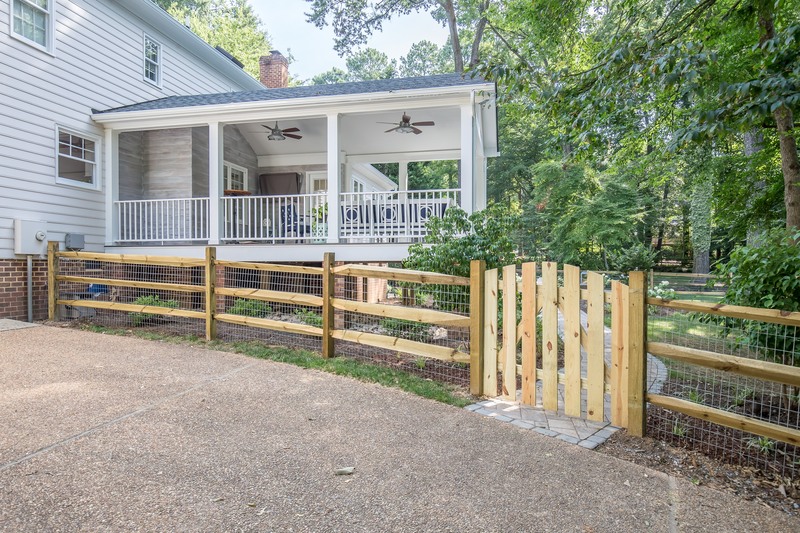 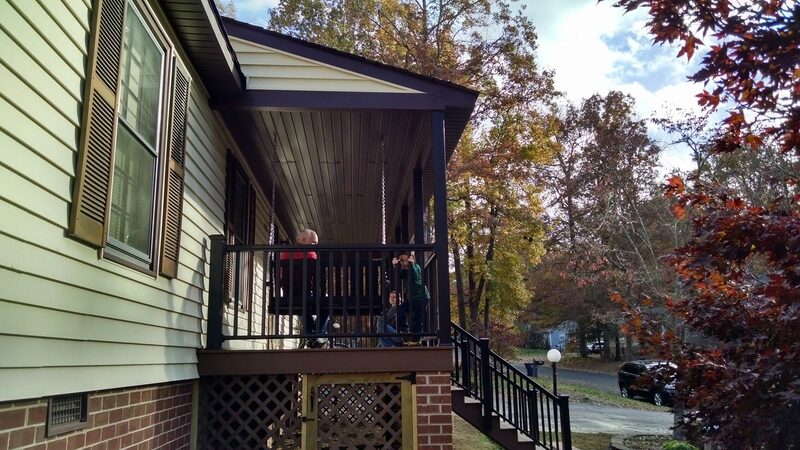 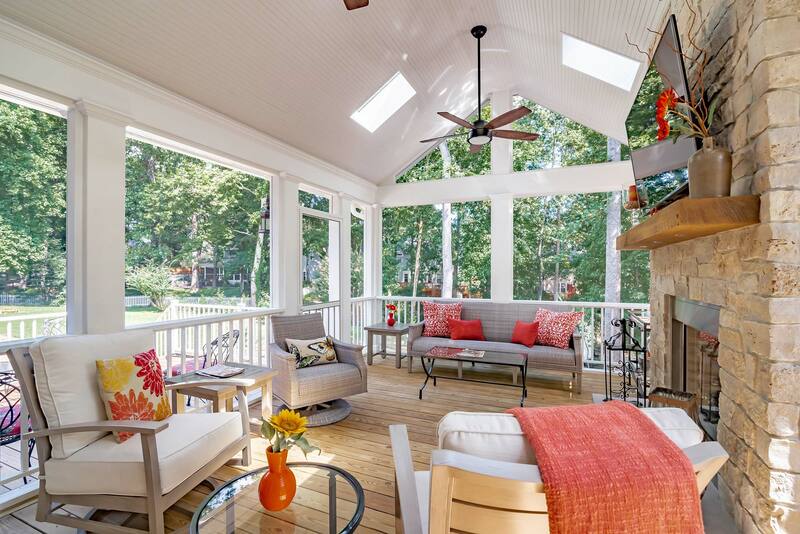 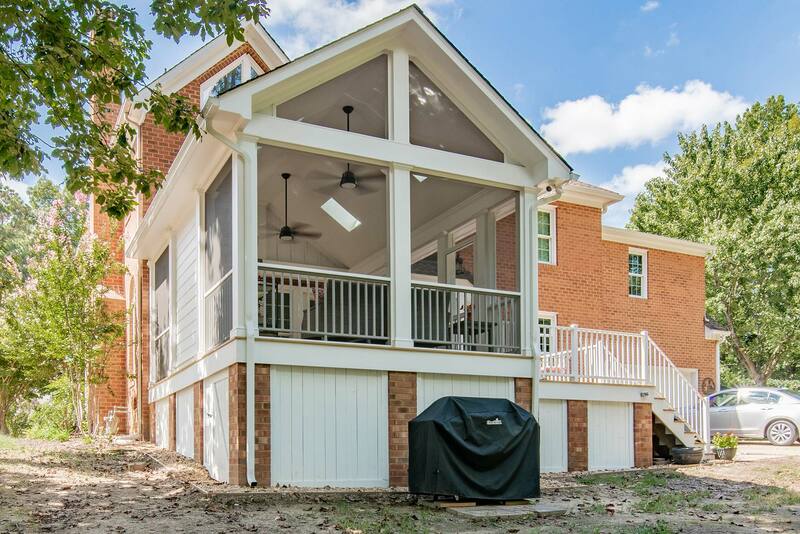 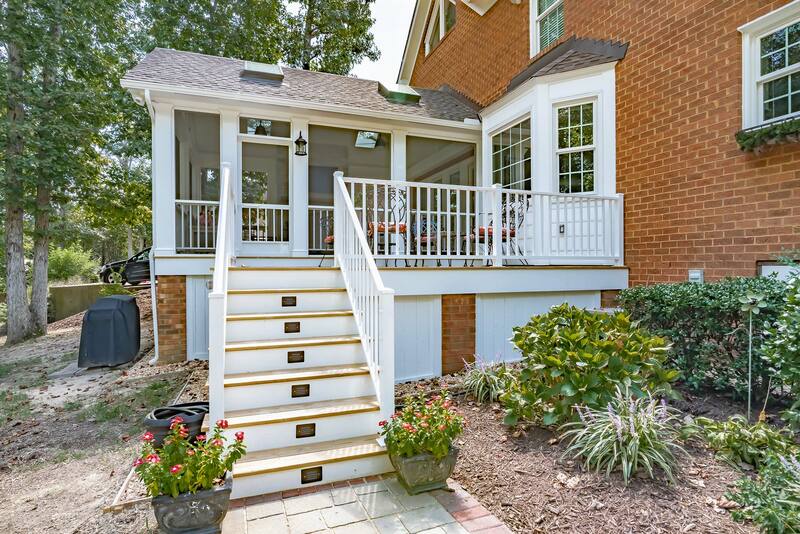 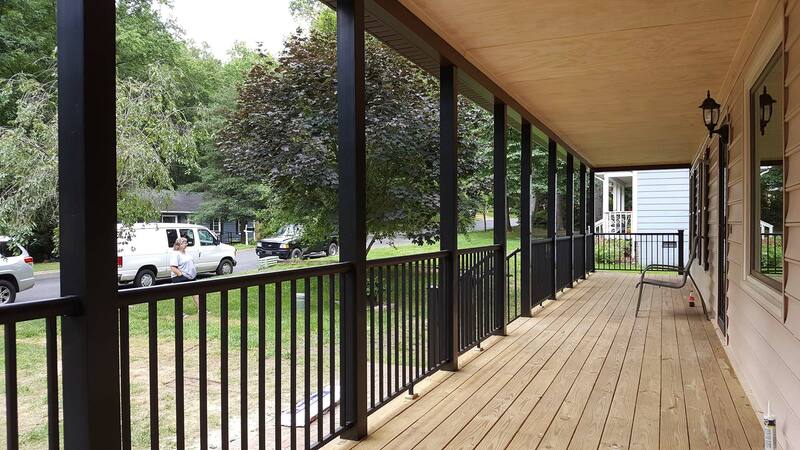 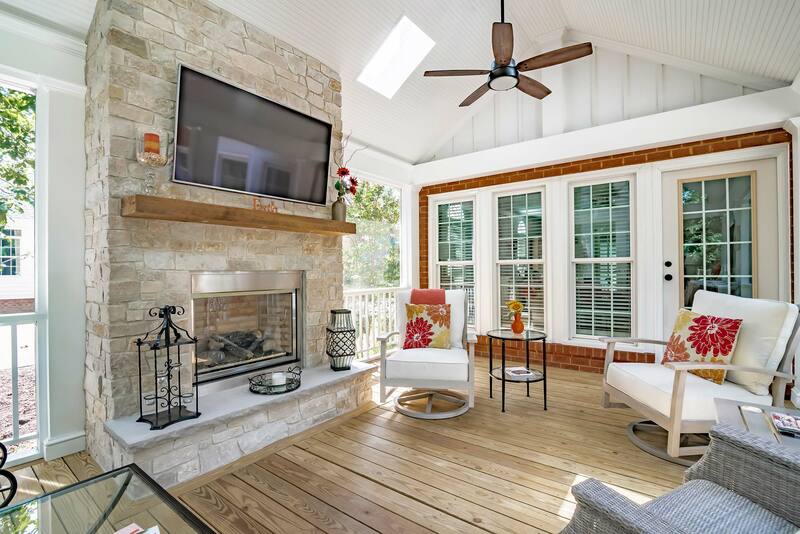 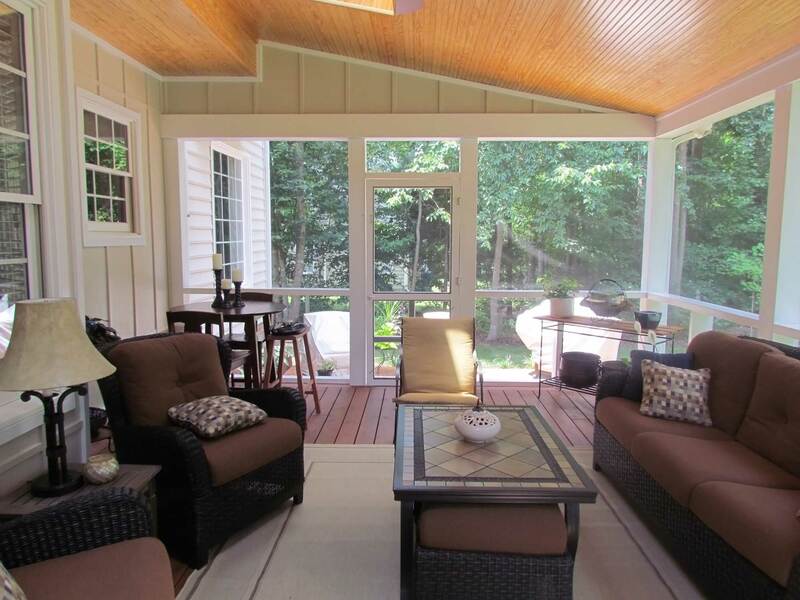 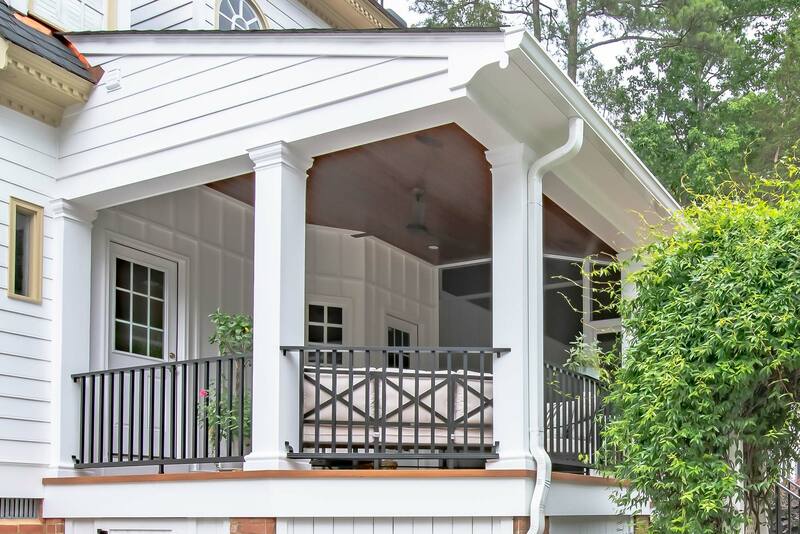 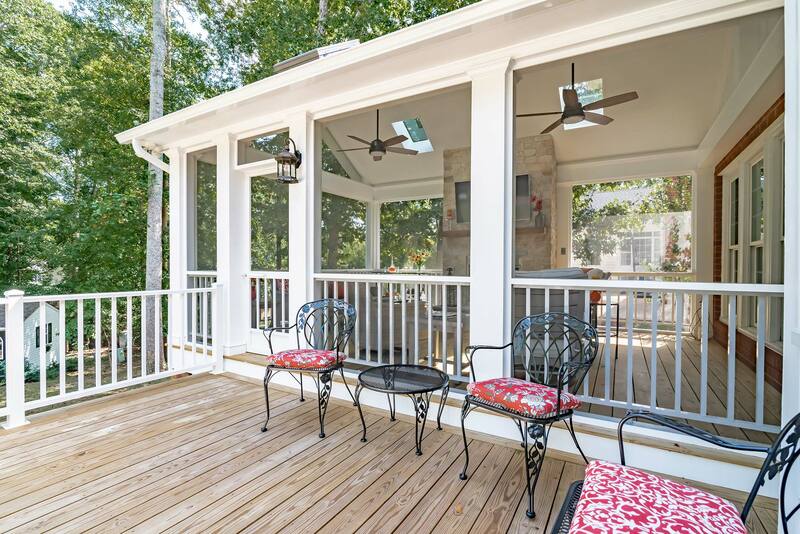 This screened porch features a large side deck. 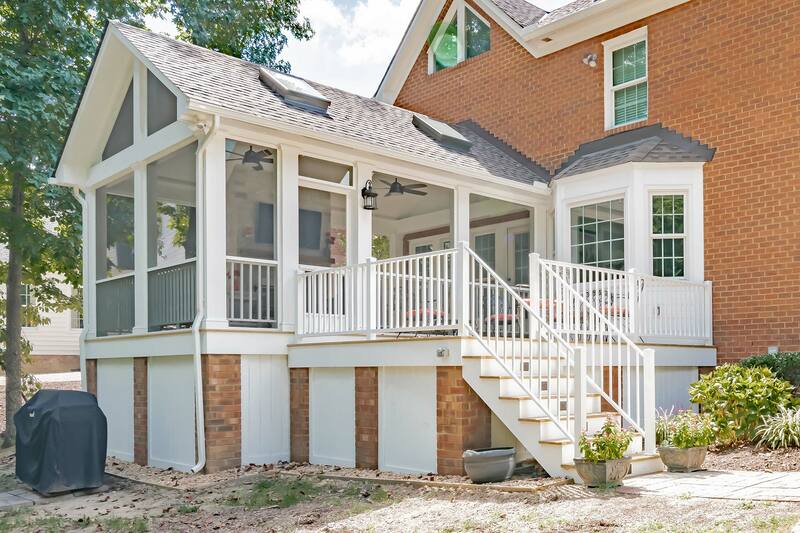 It has large brick piers and solid board skirting instead of lattice. 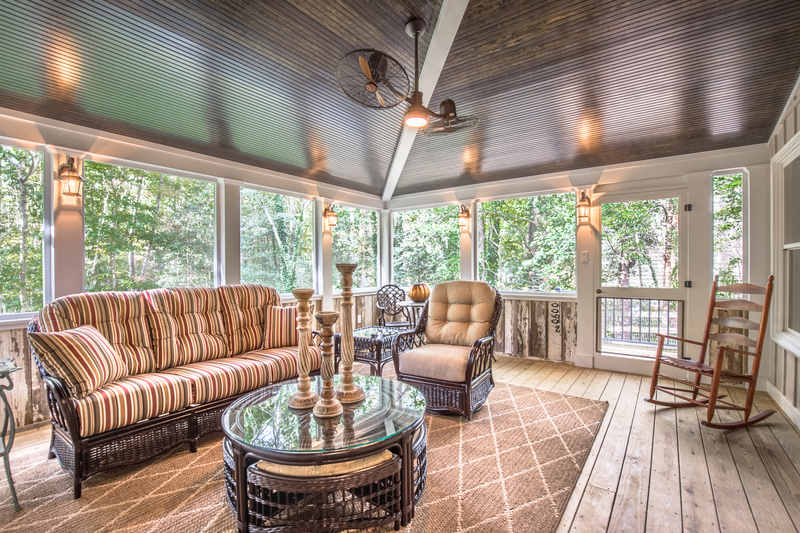 Painted yellow pine ceiling. 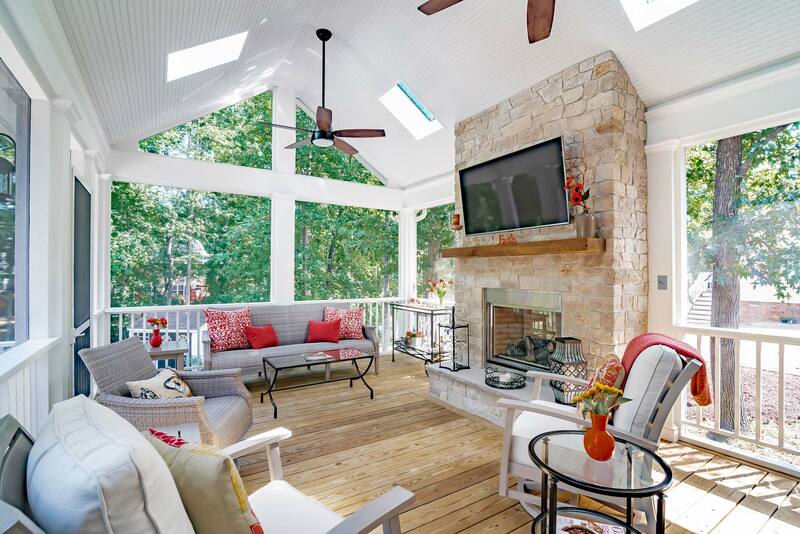 Skylights for extra lighting. 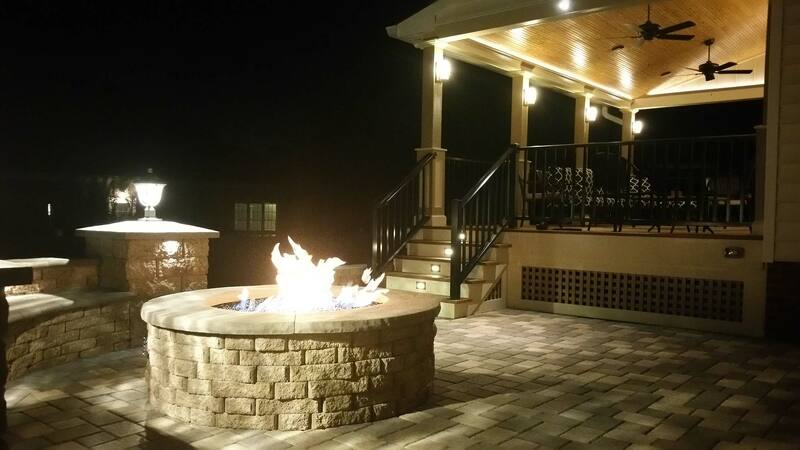 LED lights washing the ceilings. 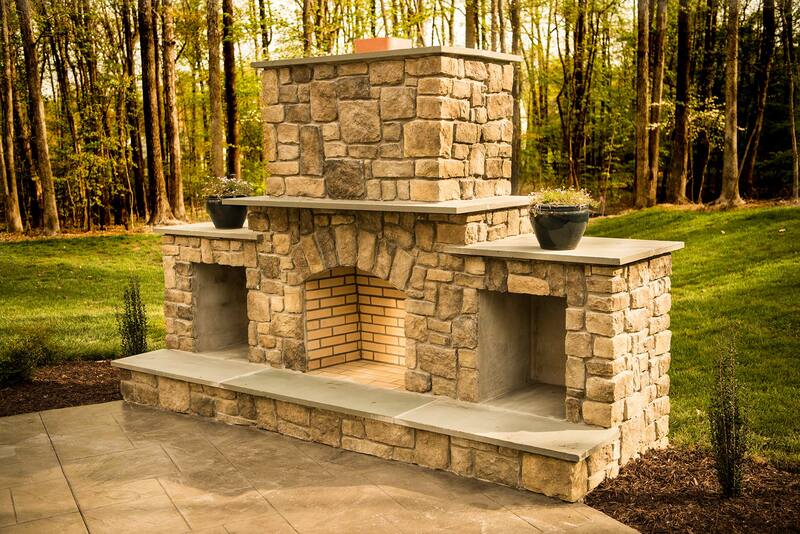 White aluminum railings and a natural stone fireplace with a cedar mantel.